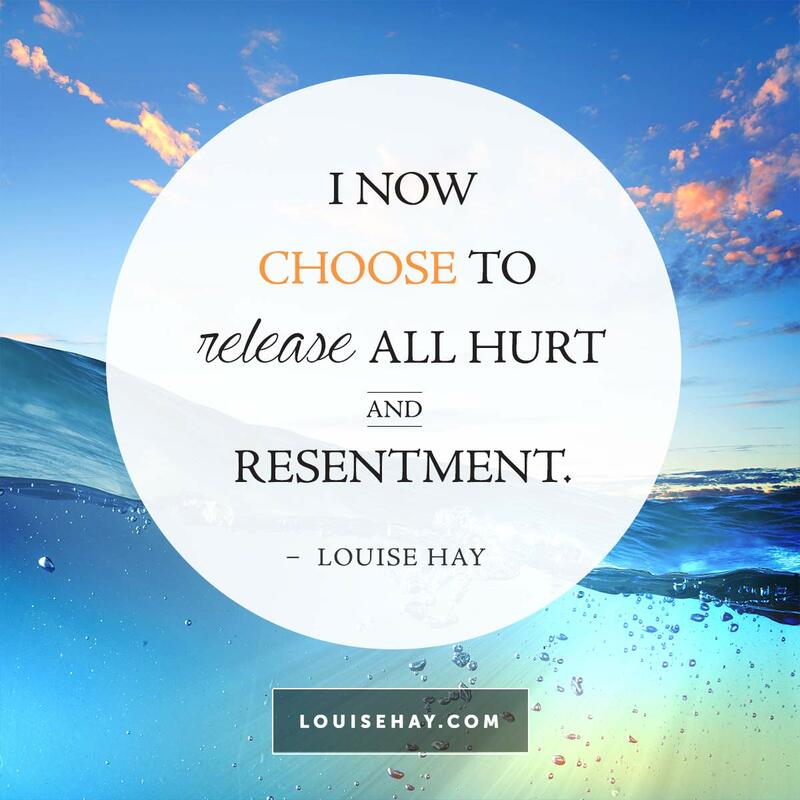 Some of my favorite affirmations come from Louise Hay. Forgiveness doesn’t come easily to me. Neither does trust. Instead, I have learned to practice Tara Brach’s concept of Radical Acceptance. This has allowed me to separate words and actions from individuals. I can forgive individuals because humans are fallible, make mistakes, and have the freedom of choice granted by virtue of life. It has also allowed me to hold the people who hurt me responsible for their actions while also releasing the pain and hurt of the past. Instead of accepting responsibility for events and experiences beyond my control, I accept that my parents and the others who hurt me chose to act that way and are responsible for their words and actions. I am only responsible for my reactions and my choices in how I reacted. I forgive myself for what I had to do to survive and do not regret those words, actions, and reactions anymore. Those experiences are life lessons and reminders of how I used to be and how I choose to act differently now when similar situations appear in my life. If I had a choice to go back in time, I would not do anything different. Because changing one part of the past results in me being someplace different now. I love my family. I respect them as humans and individuals. I hate their actions and words towards me, towards, themselves, towards each other, and towards others. I feel compassion for them and wish they did not hate themselves so much that they choose to hurt others in order to feel better. And some day, all of my parts will come to a place where this is true. Until then, we struggle with nightmares, fear, anger, resentment, hurt, shame, guilt, and stress from the burden of our memories. Because even when on her medication, my mom chose to hurt and manipulate everyone around her. We were allies/competition or enemies to be destroyed. Anyone who tried to help her, tried to get her to see a psychiatrist or counselor for medication adjustments or assistance got yelled at, talked about behind their back, silent treatment, missing or destroyed items, and a flood of tears. Because trying to help her meant trying to hurt her and punish her. So eventually, I stopped taking responsibility for my mom’s actions. I stopped taking care of her. And when I did, the entire family turned on me. I don’t hate them for it. Not anymore. Some of my parts do. Because the shaming, the accusations, the shunning hurt. I was trying to do the right thing. To be my own person and help my mother. I stopped taking responsibility for my father’s frustration with her too. And my brother’s embarrassment and anger at her actions and reactions, her scenes and her problems. I did not make them that way. I am not responsible for them. I am not meant to live my life under their control. My role in life is not to be an extension of any of them, invisible, taking care of their needs and bearing responsibility for their problems. I accept myself and all that I am. My past, my present, my future are mine to choose and be responsible for. I love my family. I am not responsible for them or their choices. I accept that I am changing for the better, learning to live and be my authentic self. I accept my family for who they are and the choices they make. I loved them then. I love them now. I will love them no matter what happens. Thank you Ms. Hay for your inspiration and thoughtful sharing of affirmations.